The XC90 is the car that defines the big change at Volvo. Ever since its launch in 2014, the car has been creating waves everywhere it went. 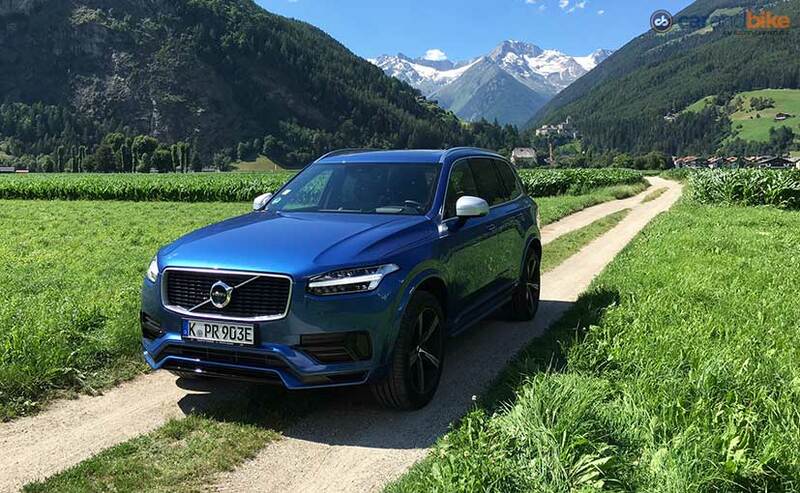 It sits on Volvo’s new scalable product architecture or SPA, has a slew of safety and driver assistance systems, and looks like a million bucks! It’s also paving the way for future models starting with this year’s S90. 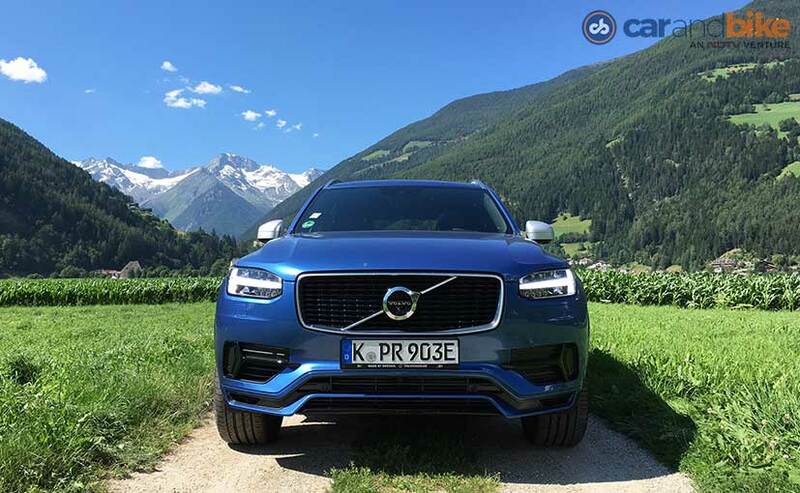 I have driven the XC90 extensively and right from my first drive in Barcelona almost 2 years ago, have tested almost every engine derivative on offer globally, though in India we get just the 2.0-litre diesel. But now Volvo is set to launch the range topping T8 twin engine or petrol hybrid XC90 in India. The car’s chassis was always designed to take on electric powertrains. The 2.0-litre turbocharged and supercharged direct injection petrol engine powers the front wheels, and uses the standard 8-speed auto gearbox. A 9.2 kWh lithium-ion battery sits in the central tunnel and supplies power to the electric motor that sits on the rear axle. The system moves effortlessly between the electric motor and the engine and you don’t get to really feel the transition at all. And that’s whether you are coasting on a highway, or pottering about in city traffic at lower speed. The graphic interface is also very subtle, with a small indicator on the instrument cluster telling you what source of power the car is running on at the time. A control unit in the engine bay synchronises the two power sources and gives you efficient and smooth performance. It also regulates the all-wheel drive when required – or keeps it engaged if you put the car in All-Wheel Mode. If you want it to, it can really get going! 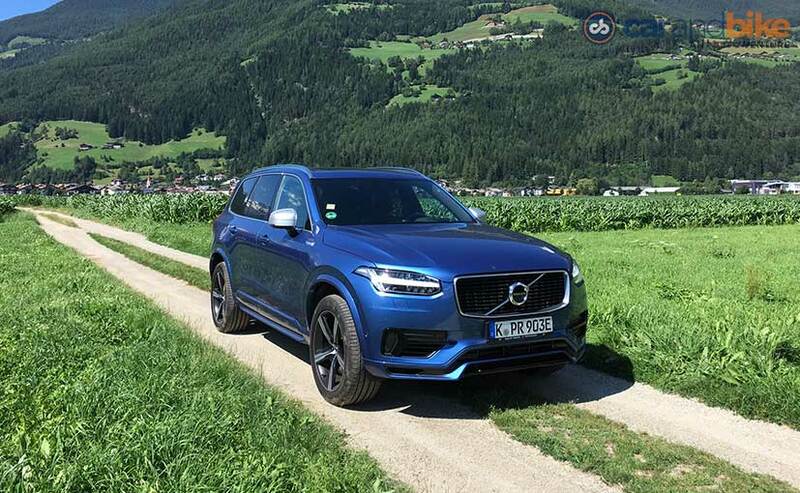 Volvo isn’t trying to compete with the V6 or V8 SUVs, yet the combined 400bhp of power that the electric motor and the 4 cylinder gives you is actually not bad. The car is smooth and if you put it Pure Mode, it can drive a little over 40 kilometres on just electric power. You also get torque on demand from word go, since the electric motor can provide maximum torque from standstill. The T8 can do 0-100 kmph in 5.9 seconds. Just the petrol engine by itself has 318 horses on it by the way. The car also has pilot assist, lane keep assist, blind-spot warning, and adaptive cruise control on board. And yes these radar-guided systems will finally be available in India for the first time on the T8. Now I don’t have to tell you about XC 90’s looks. It’s already quite the gorgeous car and really the quintessential beauty pageant winner. The good news for me was that I got my hands on a special R-Design variant in Bursting Blue! The R-Design is also available in red or white options, and Volvo will bring those in based on customer orders it receives on the T8. An R-Design model means you get matte silver exterior mirrors, glossy black front-grille, & a matte finish trim around the grille and windows. 20-inch alloys with low-profile tyres, full LED headlamps, are also standard. Inside the R-Design XC90’s cabin it’s the familiar layout but with extra sporty elements. 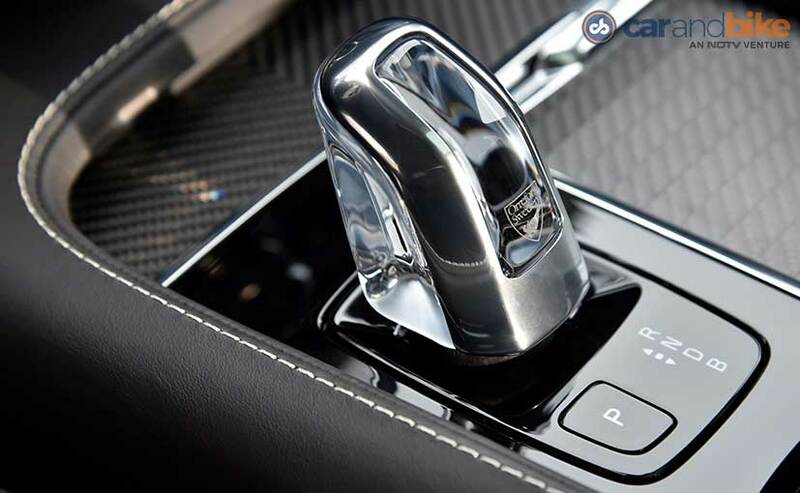 R-Design-branded leather seats, a leather steering wheel, and the crystal finish gear lever – which is really quite cool! The car’s Sensus infotainment touchscreen system steals the show, and the interior trim is impeccably finished. In select markets across the world, Volvo has decided to offer the 4-seater Excellence trim option. And that now includes India too. We do have all the details on the Excellence trim. 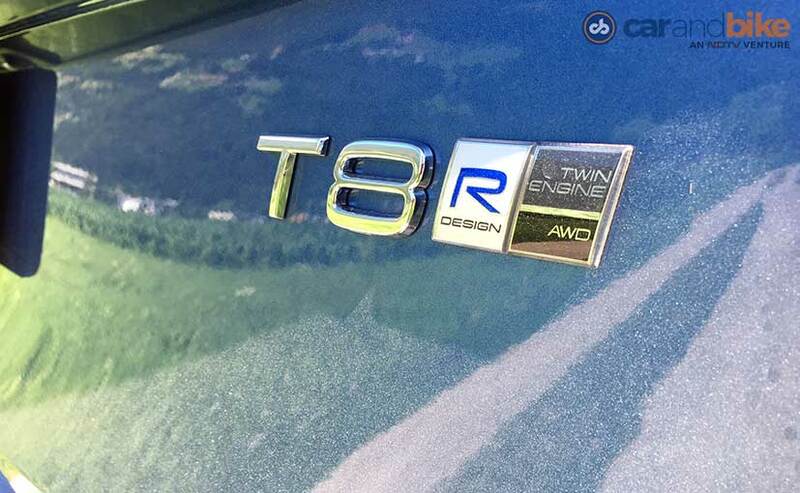 It is only being offered on the T8 Twin Engine petrol hybrid in India, though the same drivetrain can also be ordered in its 7 seater avatar. I suspect Volvo dealers will likely keep the focus on the 4-seater Excellence variant. Prices for the two will sit above a crore, with the Excellence getting a sticker price of 1.2 crore. 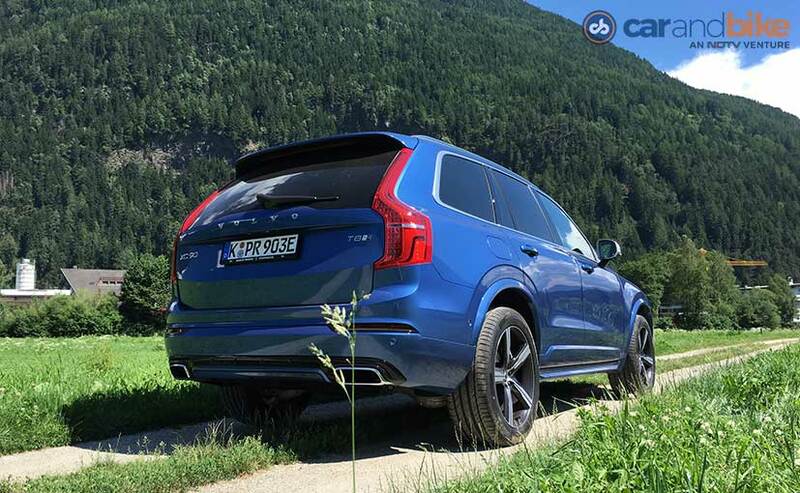 The R-Design option will be also be offered on the XC90 in India later this year. And so I hope that Volvo India is listening to me when I say I hope that the Bursting Blue makes it for sure!